Edward Lear (1812-88) is best known for his Book of Nonsense (1846), which popularized the limerick. The book is filled with silly rhymes in the now famous AABBA form. His limericks typically feature a person with a particular quirk. Who said, ‘It is just as I feared! The modern limerick has departed a bit from his style. Lear commonly ended his first and last lines with the same words, where writers following him would often rhyme them. Lear began writing his nonsense verse for the children of his patron, the Earl of Derby, so they lack the rude bawdiness of contemporary limericks. His topics are always light, playful and G-rated. Lear was much more than just a writer of silly verses. He drew and painted “for bread and cheese" at an early age out of necessity. He was the twentieth of twenty-one children born to stockbroker Jeremiah Lear. Many of his siblings did not survive past infancy. His family fell on hard times and was forced to rent out their house. Lear’s older sister Ann, 21 years his senior, moved out with him at the request of their mother and raised him like her son. She never married and remained his devoted mother-figure for life. His real mother, however, never invited them back to their home once the family fortune returned. Lear received little to no formal education. His sister tutored him at home and encouraged his budding skill with pencil and paint. By the age of sixteen, Lear was a working illustrator with an emerging talent for ornithology. 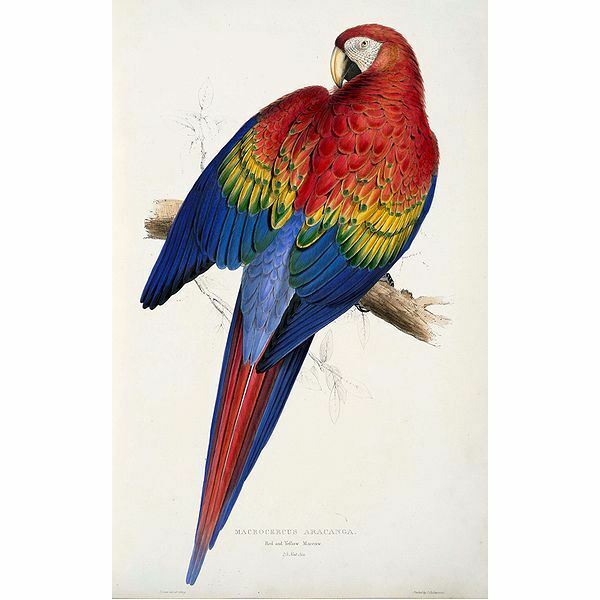 His volume on parrots, Illustrations of the Family of Psittacidae, was published in 1832. Edward Stanley, Earl of Derby, hired Lear as a resident artist to paint the animals in his collection. 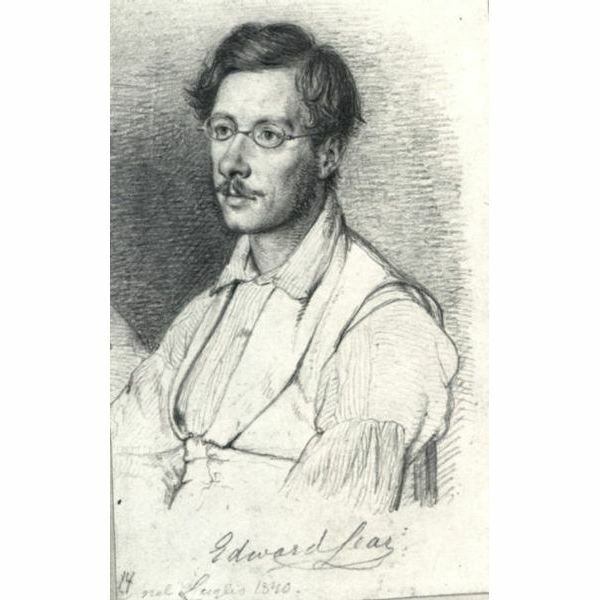 Lear lived with his patron from 1832-37 and benefited from his influence throughout his life. 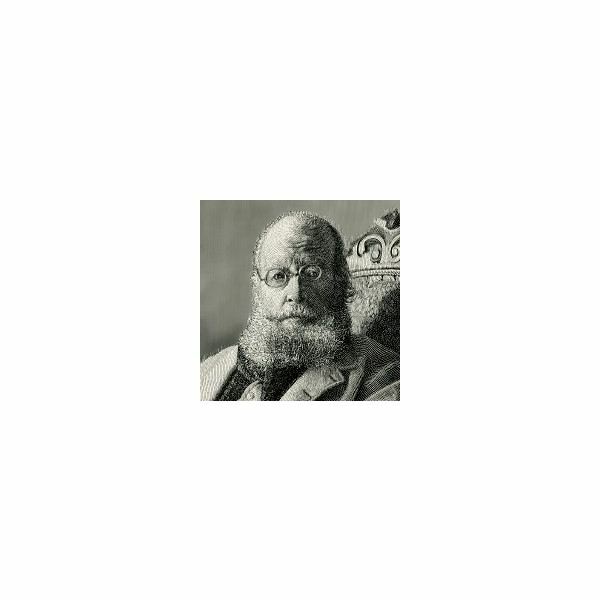 Lear visited Greece and Egypt from 1848-49 then India and Ceylon from 1873-75. He produced numerous oil and watercolor paintings from his travels. He sold many of these through connections he made while with the Earl of Derby. 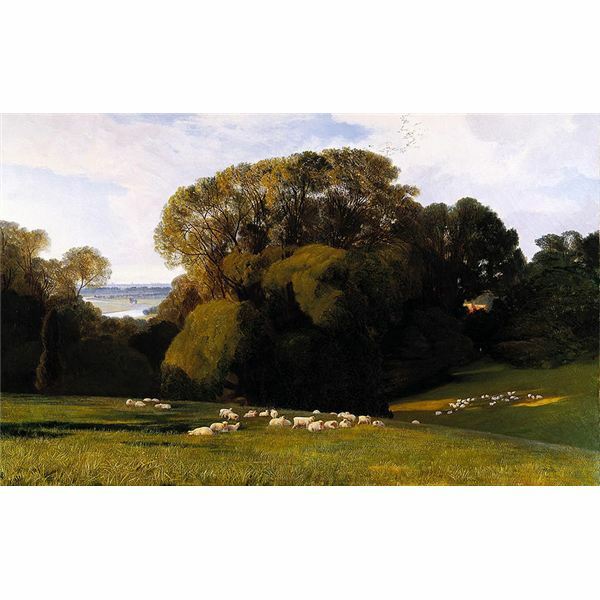 His landscape style is bold with strong sunlight and sharp contrast. His zoological style has been compared to John James Audubon. Near the end of his life, Lear succeeded in a lifelong dream of illustrating the poems of Alfred Tennyson. As one of the few children of twenty-one to survive, Lear was lucky to see adolescence. He was never without health problems, however. He suffered his first epileptic seizure at the age of six while at a fair with his father. After that he learned to sense the onset of a seizure and hide away from the public. Asthma and bronchitis were constant companions. As he aged, the English climate disagreed with him so strongly he moved permanently to San Remo, Italy, on the Mediterranean. Bronchitis would eventually cause his death. Lear was often dragged by a melancholy he called “the Morbids". The lack of structure in his early life could have been a cause. His ongoing failure to achieve lasting companionship certainly contributed. Lear never married. He had many acquaintances but few good friends. He had a passionate friendship with barrister Franklin Lushington. Lear’s affection was never reciprocated. He nearly proposed to long-time friend Augusta Bethell in 1866, but her sister advised him it would be absurd. His only lengthy companionships were his servant Giorgio Kokali (1856-83) and his cat Foss (1871-87). 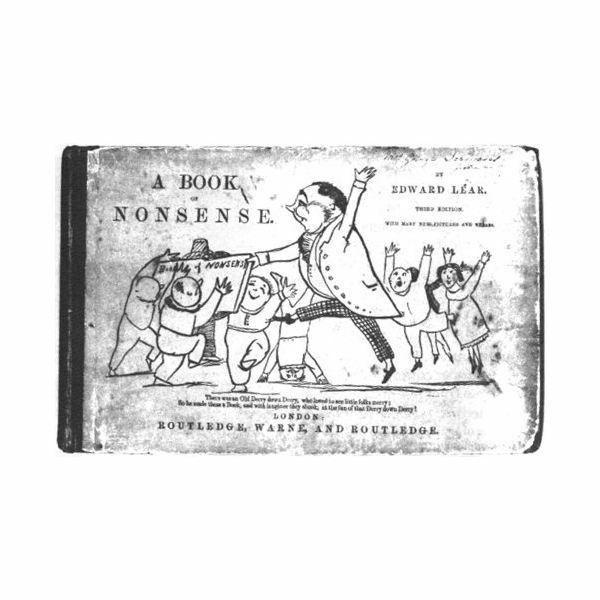 In 1861, an expanded version of Book of Nonsense was published. Lear regrettably accepted his fame as a nonsense poet. He always wanted to be acclaimed as a painter. He published three more volumes of nonsense in the 1870s at San Remo. Many of his later poems are longer. They are at the same time more fantastic and realistic. His characters are often invented creatures with ridiculous names like the Jumblies or the Quangle Wangle. The settings are similarly wacky: the Hills of Chankly Bore or the Great Gromboolian Plain. In these longer works, Lear gets deeper into pain, loss and frustration. In The Dong with a Luminous Nose he describes a being who “was happy and gay/ Till he fell in love with a Jumbly girl". One day she sailed away again and he “was left on the cruel shore/ Gazing – gazing for evermore". His last volume, Laughable Lyrics published in 1877, is titled with painful irony. Its contents, including The Dong, feature various kinds of loss. Lear, along with contemporaries such as Lewis Carroll, created a ludicrous world in which to express emotions otherwise too real. As a product of a restrictive Victorian age, his work showcases both human quirkiness and a disapproving “they" looking to shame the quirks. But they called out, ‘O law! So they smashed that Old Man with a gong. Lear’s work gave readers an alternative to more serious and studious material. He created a stage to pull humor from pain. He encouraged daydreaming. Surrealism and absurdist theater have roots in Learian nonsense. The characters and places in Lear’s work are quite similar to those of Dr. Seuss. The tedious gloom of philosophic pills! And there the porcupine with all her quills. Photo from Wikimedia Commons. In the Public Domain or under Creative Commons.